The historical home of Davey Crockett, Kentucky was the colonial homestead state of the colonies before the nation was officially born. Today, Kentucky, also called the Bluegrass State, represents a vibrant region ranging from farmland to forest to urban centers. Not so well know, Frankfort represents the capitol of Kentucky, but the state has major urban centers in Louisville (home of the famous baseball bat), Lexington, Bowling Green, and Paducah. The state is also home to the famous horse racing fields of Churchill Downs and the renowned University of Kentucky and University of Louisville college basketball teams. Farming and horse breeding represent major industries for the state, but Kentucky is also known for its automobile factory production as well as a number of major government complexes in-state. Fort Knox and Fort Campbell, Kentucky, for example represents two of the more famous military locations in the state. Kentucky is home to 4.4 million Americans, making it the nation's 26th biggest state, though it is only 37th largest by area. The state has always been known for farming, and as of this writing KY is one of the largest state's for goat, beef, and corn production. The state economy produces $160 billion per year, with contributions from manufacturing and healthcare in addition to farming. The average home in Kentucky is worth about $125,000, and home values rose by over 5% from 2012 to 2013. This figure is in line with nearby states like Tennessee, Indiana, and Illinois. The highest median sale prices in the state are in Prospect ($630,000), Union ($380,000), and Nicholasville ($300,000). The lowest prices are in places like Oak Grove, Mayfield, and Radcliff, where you can buy a home from less than $100,000 to around $130,000. More than 3 in 10 real estate listings in the state are for undeveloped land, including farmland, which may be suitable for a USDA loan. Louisville, the largest city in Kentucky, is also the 27th largest American city. Home to the University of Louisville, the city has undergone significant revitalization over the past 30 years and is home to a large population of young adults. Historically, the city has served as a hub for shipping, though recently its also become a major player in health care and medicine. Fortune 500 companies like Yum! Brands and Papa John's Pizza call Louisville home. Lexington is perhaps best known for the University of Kentucky and its men's basketball team, the Wildcats. Lexington is also known for its stable economy and was named one of the best cities in America for business and careers. Well known brands like JIF peanut butter and Tempur-Pedic call the city home. Bowling Green, home to Western Kentucky University, is a city reliant on manufacturing. General Motors and Fruit of the Loom both have plants here. Of course, the university is the city's largest employer with over 4,500 employees. Are you searching for the best bank deals in Kentucky? Looking for a community lender who will truly get to know you and work for your business, or would you prefer a national bank with the best technology? The first step is to get to know your options, and so we've compiled a list of local banks, credit unions, and larger banks that maintain a presence in KY. You can find links to our bank reviews where relevant. Best of all, you can use RateZip.com to compare interest rates on checking & deposit accounts, CDs, auto loans, and more. Saving money is just a click away! The United States Department of Agriculture offers special mortgages for homes in rural areas. These are known as USDA mortgages, and they are relevant to homebuyers in Kentucky due to the large percentage of real estate listings selling vacant land, particularly farm land. First, you must determine if your property falls into a designated area, which you can do here. Of course, there are other relevant government mortgage programs to consider. 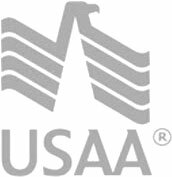 Loans from the Veteran's Administration, or VA, are designed for veterans to be able to buy homes. These mortgages have low or no downpayment and are more flexible in accepting borrowers with less than perfect credit. The FHA, or Federal Housing Authority, is a great program for first time home buyers. Again, credit standards are a bit more loose, and you can get away with a downpayment that's less than the traditional 20%. FHA home loan down payments start at 2.5%.